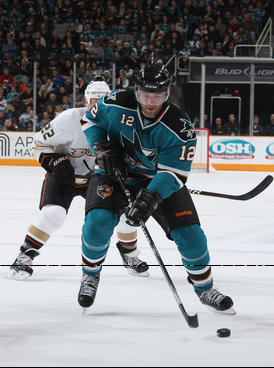 Quite the back-on-track game for the Sharks in their 4-1 win over the Anaheim Ducks. Nothing cures losing-streak pessimism like a win over your most hated rival. It wasn’t pretty; it wasn’t flashy. It was good ole fashioned hard work. 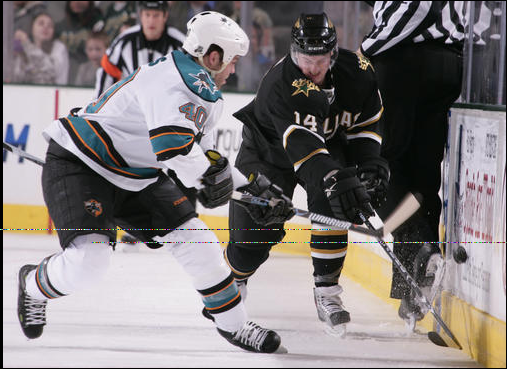 Anaheim goalie Jean-Sebastien Giguere tried to steal the show with an amazing performance, but the Sharks were too much down low. The Sharks actually used their sized around the crease to manhandle the Ducks defensemen. I think by now we can acknowledge that this type of performance probably won’t happen for another month or two. But it was nice to see the effort and garbage goals. 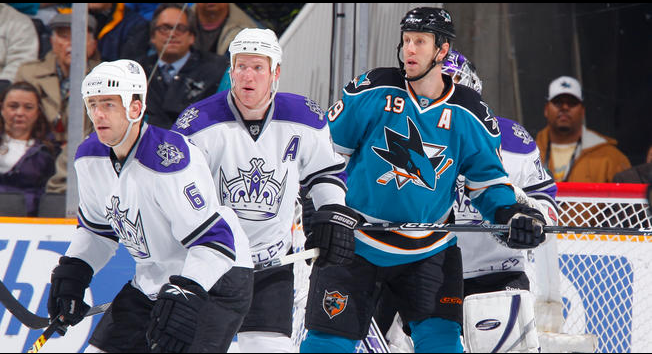 Leading the way with effort down low was Joe Thornton — yes the big man doin’ his thang around the crease. He caused a lot of havoc 6’4″ 230 lbs frame. He notched four points (2G, 2A) tonight. Jumbo has been throwing his weight around recently and that’s translating into a power forward style we’ve long awaited for. Patrick Marleau and Devin Setoguchi were the other goal scorers. Patty’s goal came on a deflection, while Seto’s was a wicked wrister. Seto’s goal broke his seven-game point drought. Coach Todd McClellan put him on the top line with Patty and Jumbo to jump-start his production. 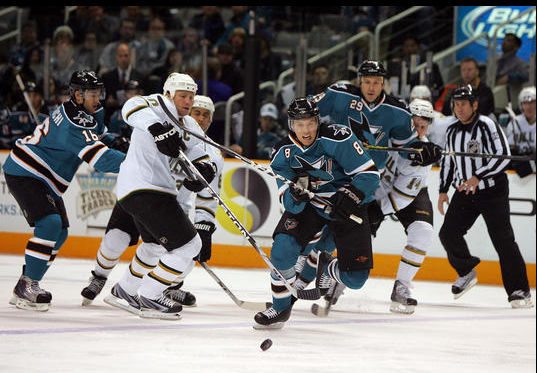 It was a move criticized by many considering the huge numbers Heatley-Thornton-Marleau put up. With Seto scoring, I wonder if McClellan will stay with Seto on the top line. Heatley is much more dangerous than Seto, and now that he’s out of his slump, his mentality will change. And it’s now really a downgrade playing with Joe Pavelski and Ryane Clowe on line two. One thing I want to mention is before the game Derek Joslin was sent back down to Worcester and Jason Demers was called up. Isn’t it funny how the Sharks all of a sudden win with Demers back? Call it coincidence if you want, but you can’t deny the losing streak included Joslin. Joslin goes bye-bye and the losing streak ends. Hmmm… Just take that home and chew it. Clowe dropped the gloves with Sheldon Brookbank in the second period. One-sided affair. Clowe threw haymakers, and Brookbank was in way over his head. It might have been Torrey Mitchell’s best game since coming back. He showed his blazing speed in picking up a penalty shot (unfortunately he didn’t convert) and forced turnovers. The lone Ducks goal was on the power play, again building the argument for a penalty-kill change. Torrey should get some more PK time in the coming games. Hit-O-Meter: SJ 31 ANA 39; Setoguchi and Douglas Murray led the team with five each. San Jose is now 3-0 against the Ducks this season. The Sharks have another three days off before traveling to Dallas for the first game of a back-to-back. The second game is against Chicago.